Is it possible to restore deleted recycle bin files? You have accidentally deleted recycle bin files and now you need to know how you can recover deleted files. Recycle bin catastrophes can of course be consigned to the waste-paper basket (pun intended) if you have a good backup plan in action, but since you are reading this I’m going to assume that you are interested in getting your precious files back *without* the help of a backup program. First the good new then: in many cases it is possible to recover deleted files. Recycle bin does not actually wipe out and destroy your files whenever you click “Empty recycle bin”. Instead, it removes the references or pointers to your files in the filesystem on your hard drive. This means that the actual files still exist on the drive, only the pointers to the file are removed from the master file table. As far as the operating system (Windows) is concerned, if it’s not in the master file table, the file does not exist. What’s more: the storage blocks on your hard drive that still contain the information of your deleted files will be marked as available, so any new files that need to be written to your hard disk can potentially be written to these newly available blocks. That’s why it’s extremely important to try and restore deleted recycle bin files as soon as possible and to avoid any further disk activity and file operations as much as you can. Your chances to restore recycle bin files successfully are inversely proportional to the number of write activities on your disk. Windows doesn’t have tools to restore recycle bin files so you’re going to need extra software if you need to recover deleted recycle bin files. The good news is: there are quite a few (free) software utilities that you can download and install from the internet to get your files back. The bad news is: the ubiquitous supply of these tools can make your choice a hard one. Not all undelete utilities are free, but do you really have to spend money on a commercial undelete software to get good results? I have worked with several different popular ones and you’ll find my experiences below in this article. Depending on the size and severity of your file deletion calamity you’ll prefer one utility over another, but as long as you’re dealing with a relatively “simple” case of deleted files recovery, you’ll do just fine with free utilities like Recuva. Some of the paid undelete software comes with a limited free version that allows you to restore deleted recycle bin files up to a certain number of files. Or they show you which deleted files they have found and then you need to pay first in order to get your files back. The “simple” scenario of deleted files that I mentioned just above refers to files that you accidentally deleted seconds ago and there has been no or very little disk activity since. Those are the easiest to fix with the highest chances of success. Things become a lot more complicated if you delete or format an entire disk partition. I have also tested a few scenarios like that and I can already reveal that the free utilities were not able to help me recover my files there. 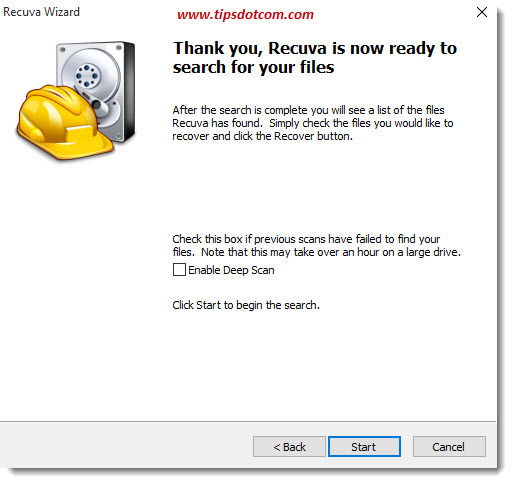 One of the most popular free utilities to restore deleted recycle bin files is Piriform’s Recuva. Piriform is the same Software company that is also known for CCleaner, a free disk cleanup tool for Windows. You can download Recuva free from the Piriform website. They also have a paid Professional edition, which has advanced file recovery features, but let’s first take a look at the free version and how it can help you to restore deleted recycle bin files. Please note: Allow me to repeat that any disk activity on the disk with deleted files will reduce your chances for successful file recovery. Hook up your disk with deleted files on another computer if you can or use another disk to download and install undelete software if your computer has multiple disks. 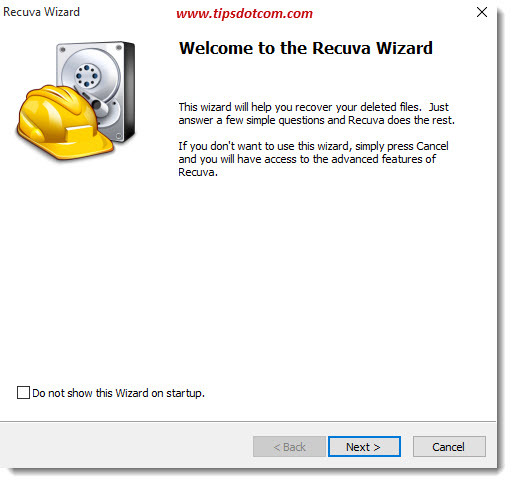 After installation, if you launch Recuva, you will see a welcome screen in the Recuva wizard, where you can simply click next to proceed. In the next screen, the wizard asks you to select the type of files you want to recover. If you’re not sure, select “All files” and click next. 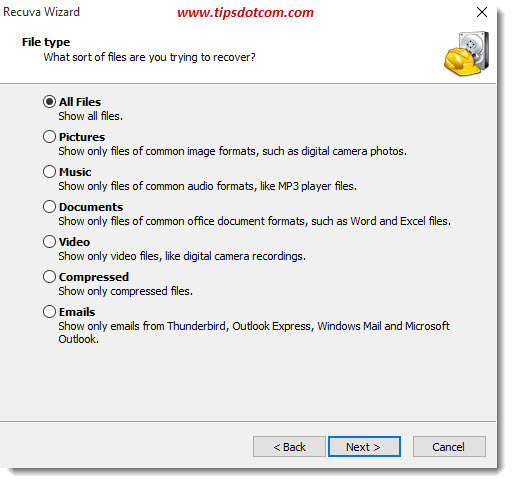 Now Recuva wants to know where to look for deleted files. Again, if you’re not sure, leave the selection at the default option (Search everywhere on this computer). The undelete tool is now ready to start scanning your hard drive for deleted files that can be recovered. Depending on the size and speed of your hard disk, this can take a while. That’s why it might be a good idea to leave the “Enable Deep Scan” option unchecked. If the scan doesn’t find the deleted files you are looking for, you can always perform another scan with the Deep Scan option enabled. Once the scan is completed, you’ll get an overview of all the deleted files that Recuva found along with a color code indicating the “recoverability” of the files (green = good chances of recovery, red = more doubtful). You can sort the different columns by clicking on the column headers. 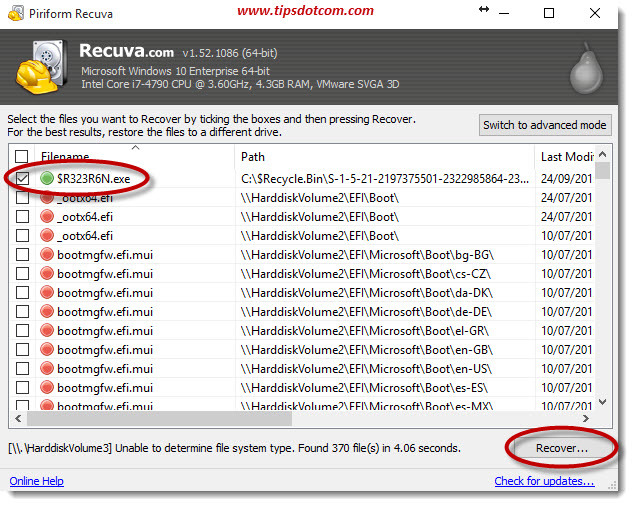 Click the boxes next to the files you want to recover and click “Recover”. Now you’ll be able to select where you want to place the recovered files. Recuva will restore deleted recycle bin files for you like that and will keep you informed about the outcome of the process. What if your deleted files can’t be recovered? As mentioned before, the above description will work in most “simple” cases. 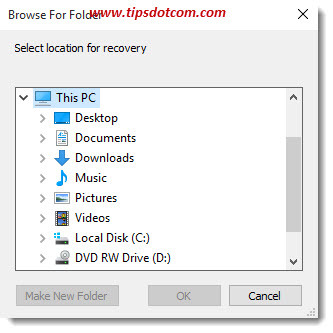 If you’re trying to restore deleted recycle bin files that were deleted a while ago and there has been quite some disk activity since the moment of deletion, your recovery scenario will become more complicated. If the procedure described above did not help you, you can try to use Recuva again with the “Deep Scan” option enabled. Every undelete challenge is unique and your mileage may vary using different tools. The tools mentioned just above have similar features compared to Recuva and it’s impossible to predict which one of them (if any) will get the job done in your particular situation. As mentioned above, I've also tested a couple of deleted partition recovery tools and described my experiences with them. Read next: A real-life deleted partition recovery scenario.